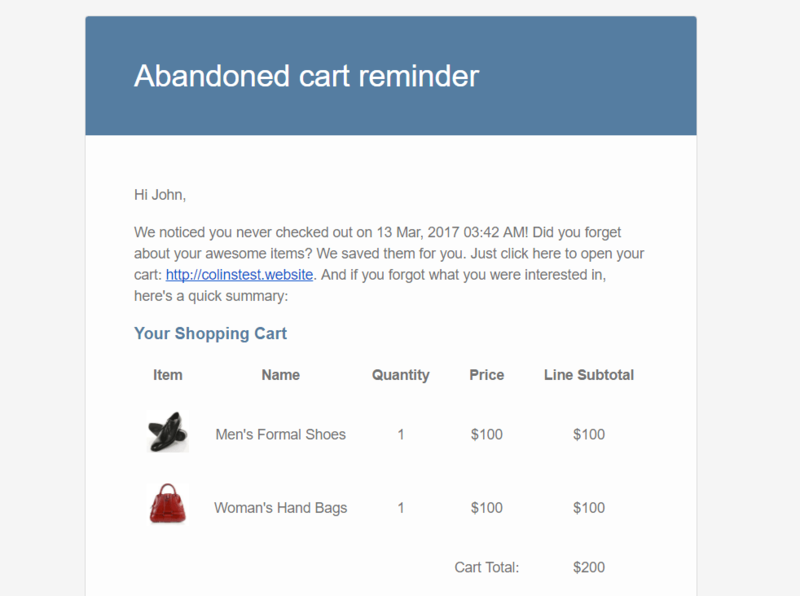 If you’re running an eCommerce store with WordPress, you probably don’t need me to tell you why abandoned cart emails can reduce your store’s abandonment rate and get you more sales. But because there’s no built-in tool to send WooCommerce abandoned cart emails, you might need me to tell you how. 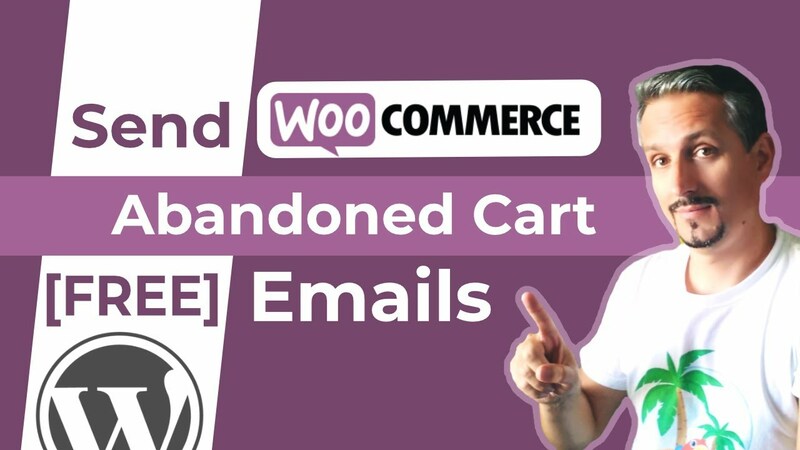 In this post, I’ll give you an in-depth tutorial for sending WooCommerce abandoned cart emails using a free plugin. Then, at the end, I’ll share a few premium options that are also worth investigating. 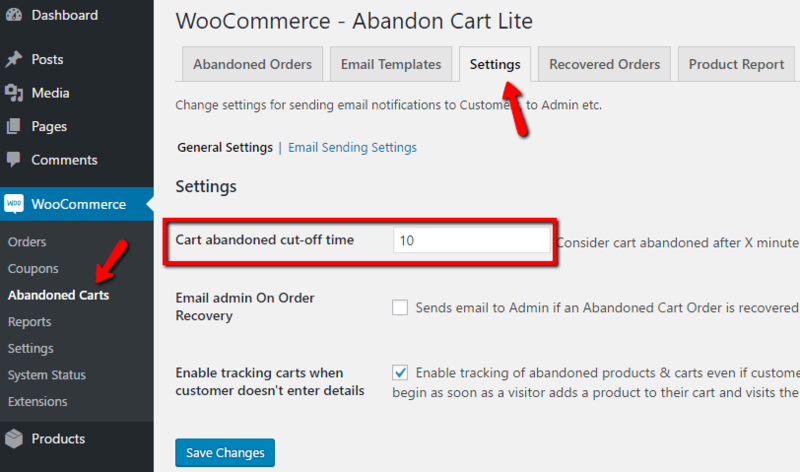 For a free way to send WooCommerce abandoned cart emails, I recommend Abandoned Cart Lite. It’s well-updated. At the time of writing this tutorial, it was last updated…21 minutes ago. Lots of people use it. It has over 10,000 active installs. It’s easy to upgrade to the pro version if you ever want more functionality. In the free version of the plugin, you can create unlimited email templates and send them at intervals that you specify. Intervals start one hour after a user abandons their cart. You can also customize your emails with personalized details (e.g. first name) and stop sending emails if a user completes their purchase. Because it’s a free plugin, you can install Abandoned Cart Lite directly from your WordPress dashboard. At this point, I’m assuming that you already have WooCommerce installed. Read this post if you need help installing a WordPress plugin. Once you activate the plugin, you’ll get a new Abandoned Carts link in your dashboard sidebar (under the WooCommerce menu). The first step to using Abandoned Cart Lite is to define what you actually consider to be an abandoned cart. This is important because you don’t want to annoy customers who haven’t actually forgotten about their cart. The default is 10 minutes, but depending on how aggressive you want to be with your emails, you can either increase or decrease this number. Note – this is NOT the interval before your emails send. You’ll choose another number later on that determines when to send. This number only determines when to mark a cart as abandoned. And that’s it for configuring the plugin! 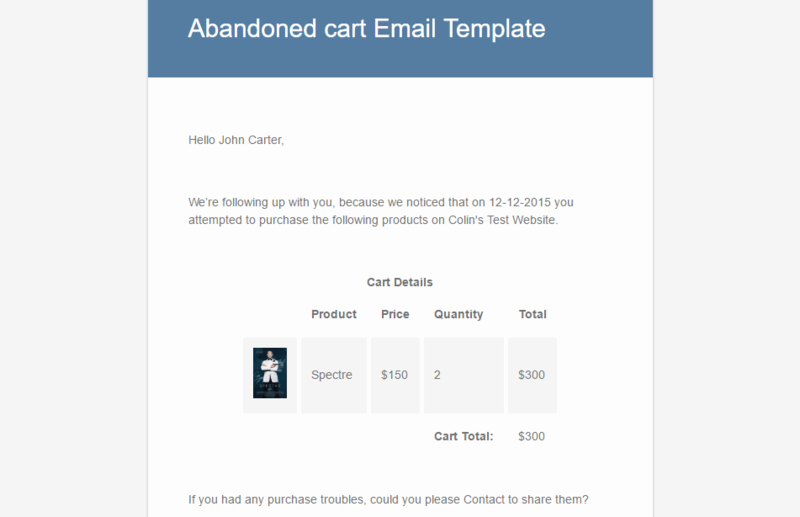 Now, you need to actually create a template for the WooCommerce abandoned cart emails that you want to send. First, give your email a Template Name and Subject. The Template Name is purely internal and your shoppers will not see it. The Subject will be the actual subject of your email and is thus going to be public. You might want to refine the copy a bit… But hopefully you get the idea. So unless you want to add custom styling to your email, you should probably check the box. Finally, you need to choose when to send your abandoned cart email, as well as whether or not to activate it. So when should you send WooCommerce abandoned cart emails? Data suggests that you should send them as quickly as possible. The conversion rate on emails sent 24 hours later is ~50% lower than emails sent within an hour of an abandoned cart. Abandoned orders – view individual abandoned orders. Recovered orders – learn how much money you’ve earned by sending abandoned cart emails. 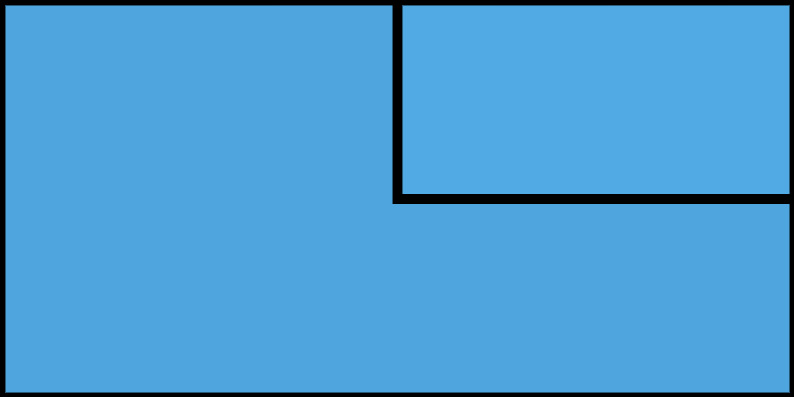 Product report – see which products get abandoned most often. 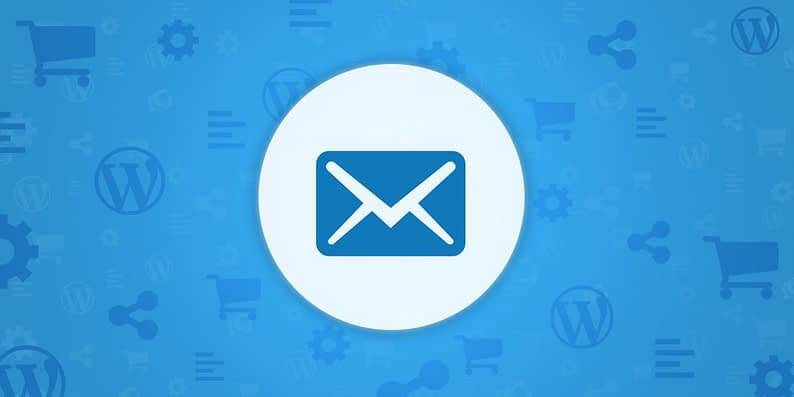 WooCommerce Follow Ups – $99 – an official email marketing extension developed by WooCommerce. WooCommerce Recover Abandoned Cart – $49 – the best-selling abandoned cart plugin at CodeCanyon. And you can, of course, also upgrade Abandoned Cart Lite to get more features. The pro version costs $119. It lets you add conversion-boosting coupons, gives you pre-made templates, and offers a ton of other features. Bonus! You can also recover abandoned carts via Facebook Messenger. Our friends at ChatX.ai launched a free chatbot to reach out to customers who abandon carts in your shop. Facebook Messenger has an open rate of 80%, which is four times bigger than the average email open rate. So, downloading ChatX.ai WooCommerce plugin could offer you a consistent advantage over your competition. WooCommerce cart abandonment emails are a great way to boost your store’s conversion rates and put more money in your pocket. With how easy it is to get up and started, you really have no reason not to at least test abandonment emails. Finding the sweet spot with those two numbers will help you maximize the number of carts that you recover. And If you want even more ways to improve your store, we also put together a list of 12 helpful WooCommerce extensions. Have any questions about how to recover your seemingly lost sales via abandoned cart emails? Feel free to ask away in the comments section below.